Accurate labelling of consumer produce is a familiar part of the struggle for Palestinian rights under Israeli occupation and a striking example of global citizen empowerment. 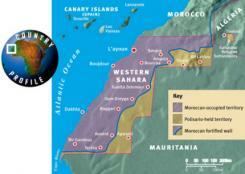 Now campaigners for the freedom of Western Sahara are making similar demands to try to undermine Morocco’s control of the territory. In the first case of its kind, British government departments are facing action in the high court over complaints that goods that originate in Western Sahara, often described as “the last colony in Africa”, are illegally benefiting from preferential tariffs granted to Morocco by the EU. 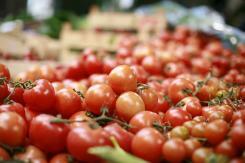 British consumers are also being misled: sweet mixed baby tomatoes – sold by supermarket giants Tesco and Morrisons – have been labelled as produce of Morocco when in fact they were from giant agribusinesses in the Sahara, some of them owned by the wealthy King Mohammed VI, others by powerful Moroccan conglomerates or French multinational firms. None is owned by the indigenous Saharawi people. WSCUK's application fora judicial review was lodged on Tuesday 3rd March 2015.